Need a upgrade from iOS 9.3 to iOS 10 but "Not Enough Memory"
Breaking up with old lover and you need to wipe iPhone 7 Clean before returning it. In all these situations, you will definitely be in need of the most effective way of deleting your iPhone data beyond traces. What Types of Data Should be Cleaned? It’s very important to know the particular type of document and data to clean, in order to secure more storage space or safeguard your reputation and avoid privacy leak. Hence, before going to the part of “how to clear data on iPhone” we shall be discussing the different kinds of data that we may need to individually or collectively delete. 1. Invisible Useless Data: Junk files, temp files, app caches, app logs, etc. are classified under invisible data, because you cannot be aware of their presence on your iPhone 7. Most of them are useless. You will also need to remove them due to the privacy issues they may generate if you overlook them. 2. Large Media Files: Large media files like photos, videos can occupy our iPhone storage space by just having a few of them. Most HD movies weigh over 2GB in size, and having like 8 of such movies in our iPhone 7 is enough to occupy the storage space. Therefore, removing such data would enable us to regain out storage space back. 3. Stock Apps: When you always use your iPhone for work or relaxation, there is greater possibility that you are always using iPhone 7 stock apps such as Safari, music app, calendar app, video, messages and other apps. Some of these apps store information on their own as you use them, in the case of Safari; caches, cookies, reading list, etc. in the case of Mail app, it is the mails we download and store. Understanding how to remove these data and documents will help us to regain of iPhone storage space. 4. Seldom Used Apps: Most iPhone 7 users would let old adventure games they have completed on their iPhone to occupy precious memory space. Removing such games will help you to gain more storage space for your important files. 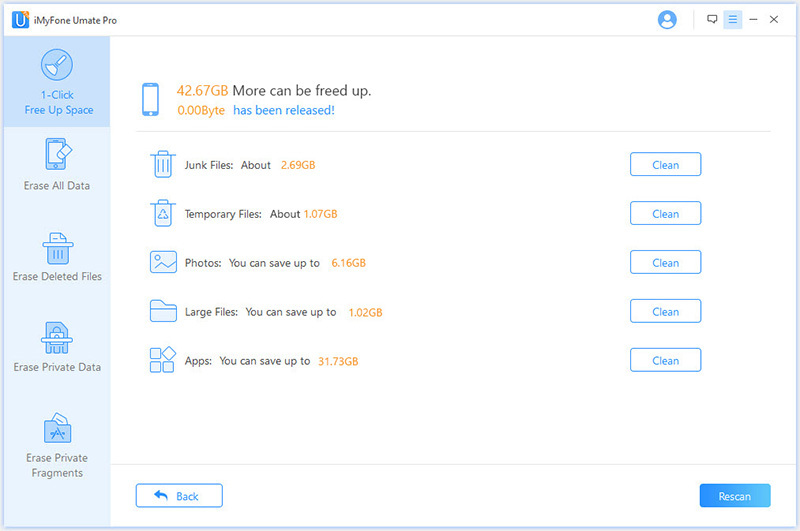 iMyFone Umate Pro or iMyFone Umate Pro for Mac is the best tool to use in addressing any iPhone memory hog or storage problem you may encounter. It also helps you to get the best experience out of your iOS by enabling the tools you use to perform at optimal level for you. 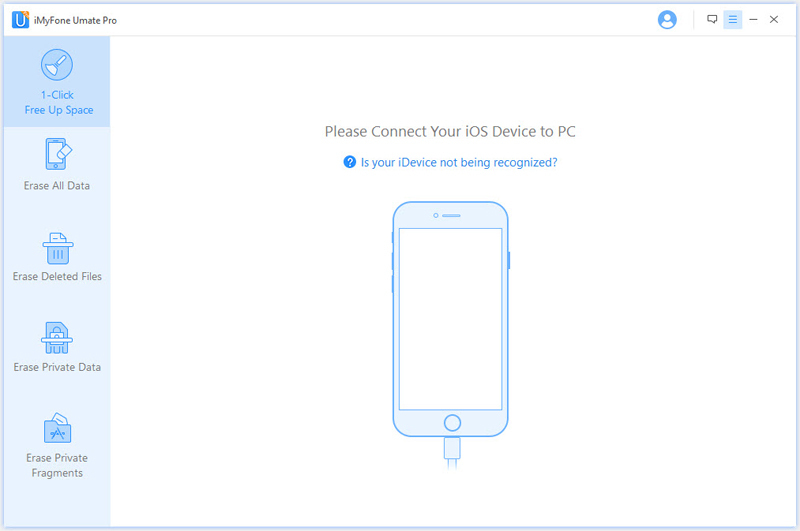 iOS would always need a little touch using iMyFone Umate pro to kick back to optimum performance. 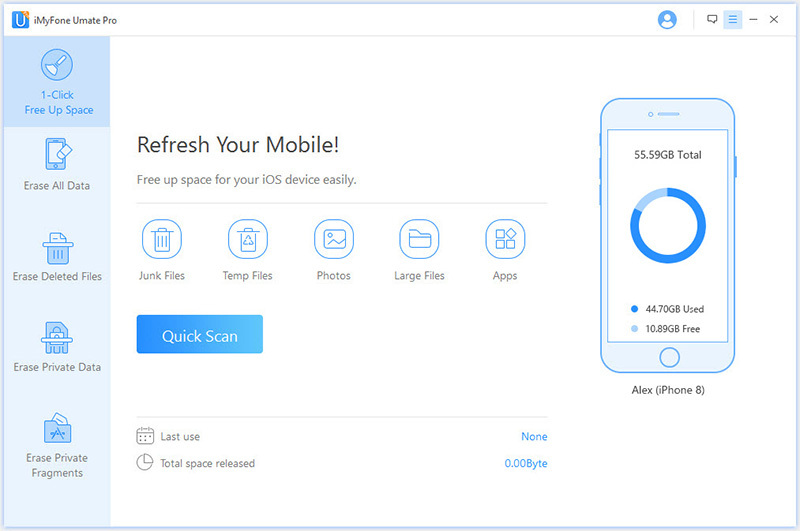 iMyFone Umate Pro employs over 25 analysis technology in scanning your iPhone 7 for useless files. It presents these files for your preview before deleting to avoid deleting important data. You have the option of deleting your unwanted and sensitive files selectively or in a batch. 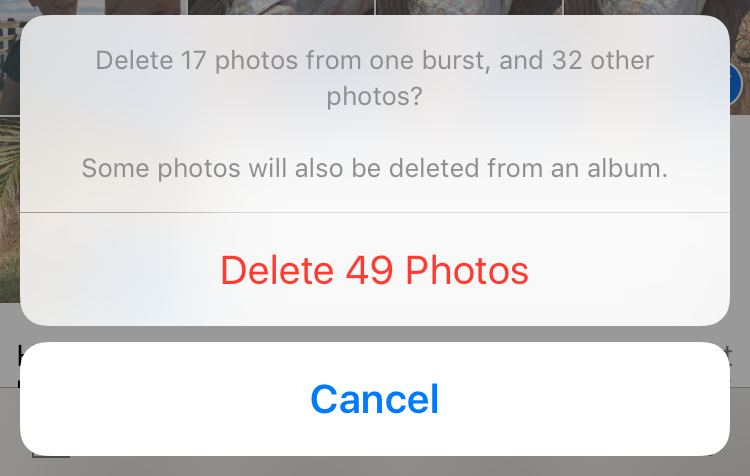 You can back up your iPhone photos/videos on your PC before deleting them. Once you erase iPhone 7 data with its erasing mode, it is beyond the reach of any recovery tool. Step 1: Run the program and connect your device to PC. Step 2: Select the cleanup mode "1-Click Free Up Space" and scan your device. Step 3: Preview through the suggested files, select the unwanted files, then delete these data from iPhone. 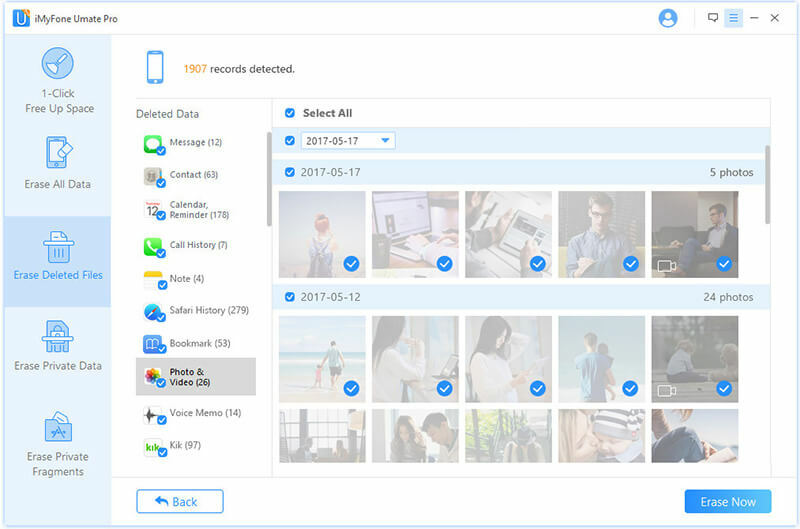 Ordinarily, using iPhone data erasing options to delete files is not efficient enough in keeping your sensitive business files deleted for good. Most often than not, you will get to discover that these deleted files are still occupying your iPhone storage space. Occasions may also arise where you get to hear people complaining of privacy leak after deleting their iPhone 7 private data and selling the device to make for the money needed to buy a new one. Nevertheless, all these problems have a solution and that the perfect solution is iMyFone Umate Pro. Erase All Data: This is just like a Factory Reset, but it won’t need you to active your iPhone again, and the erased data is cannot be recovered by any recovery tool while the data deleted by factory reset is still can be restored. Erase Deleted Files: As mentioned above, the files deleted in normal ways can still be recovered, so you can scan your iPhone 7 with Umate Pro and find out all deleted files, then erase them permanently. Erase Private Data: This allows you to preview your current personal data on your iPhone, you can selectively delete the sensitive files to protect your privacy.